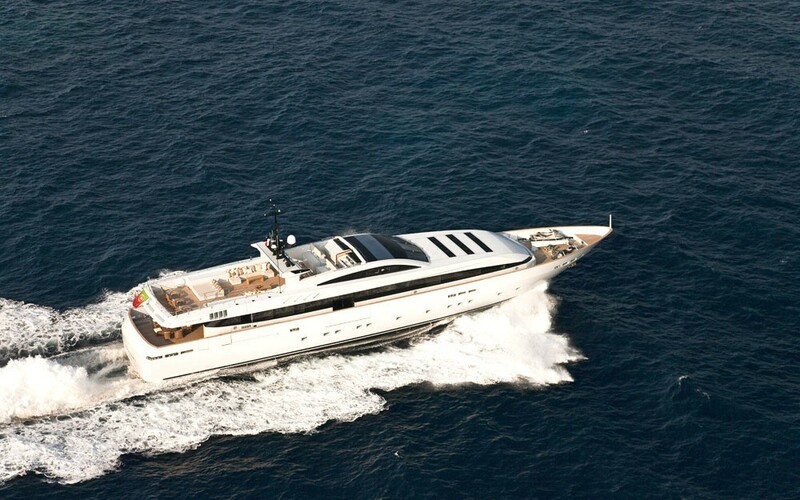 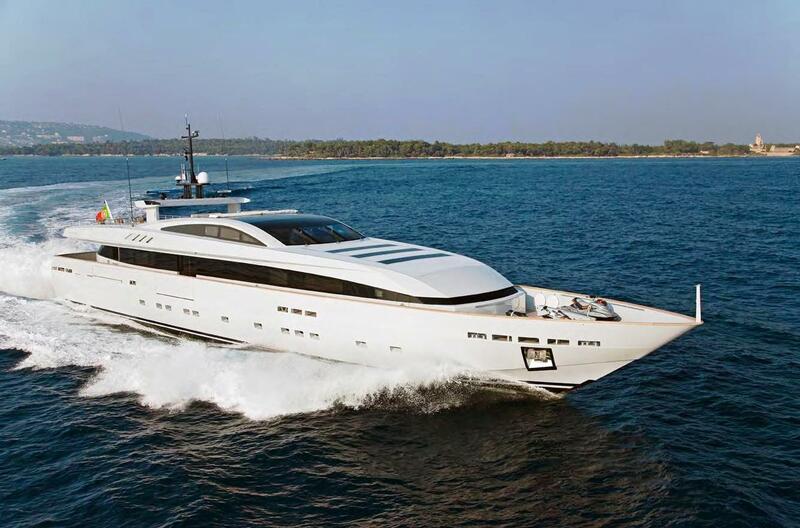 Baglietto Motor yacht FAN TOO is a superyacht measuring 44,00m (144' 4"). 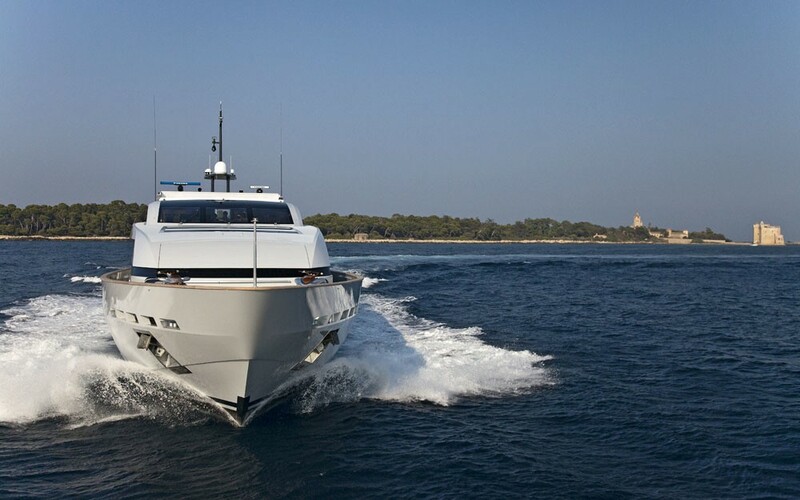 This modern motor yacht was built in 2009 and is an aluminium planning motor yacht with a top speed of 27 knots. 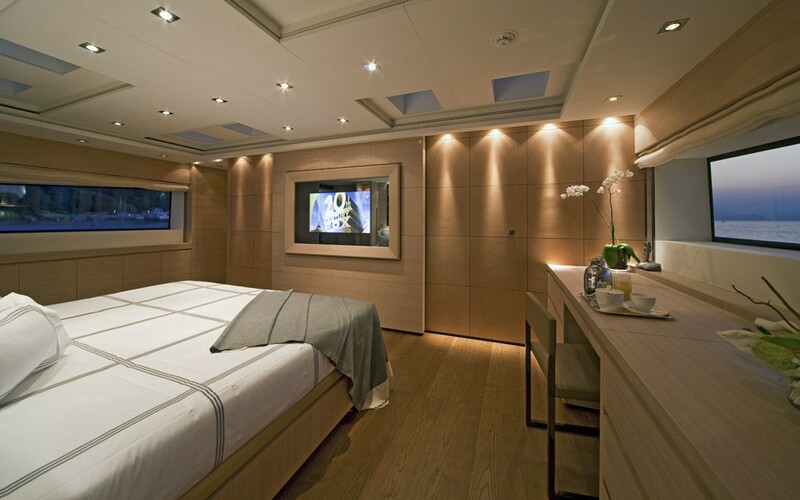 Offering 5 cabins, FAN TOO provides accommodation for 10 guests. 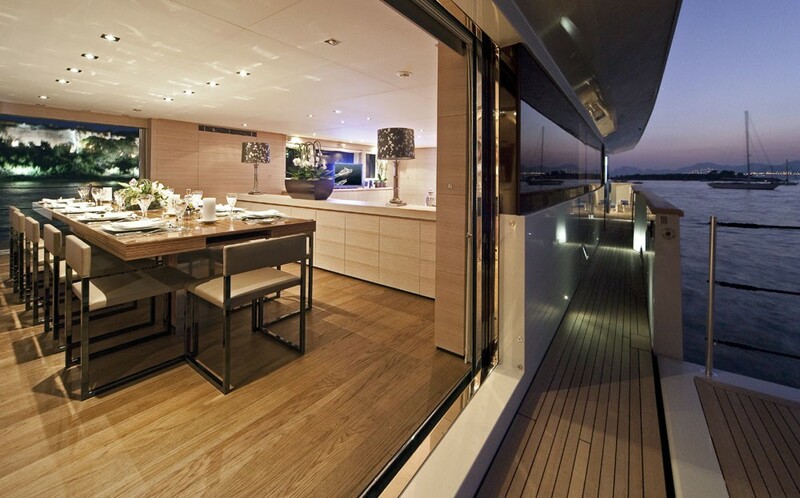 The external lines were created by Paszkowski Design. 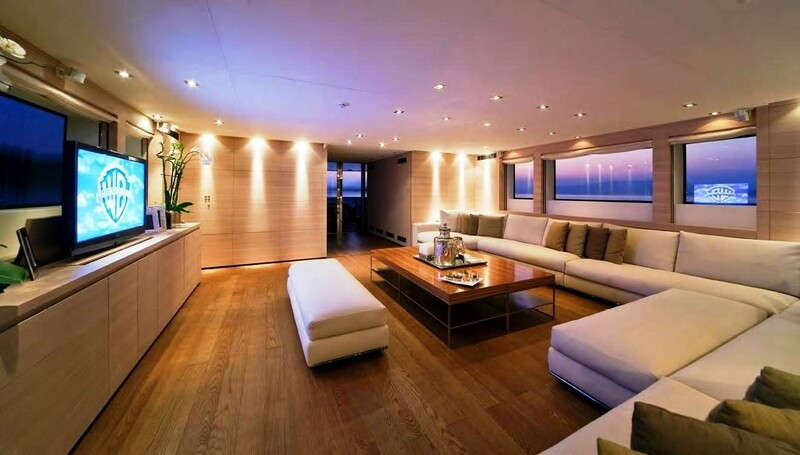 Architect Francesco Paszkowski was also responsible for the interior design which is modern and minimalistic boasting a rich variety of natural materials such as leather, stained oak and Jerusalem Gold stone. 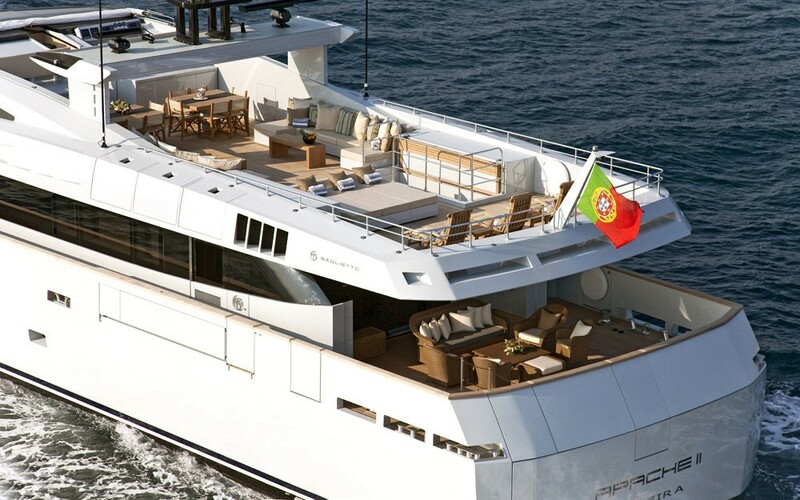 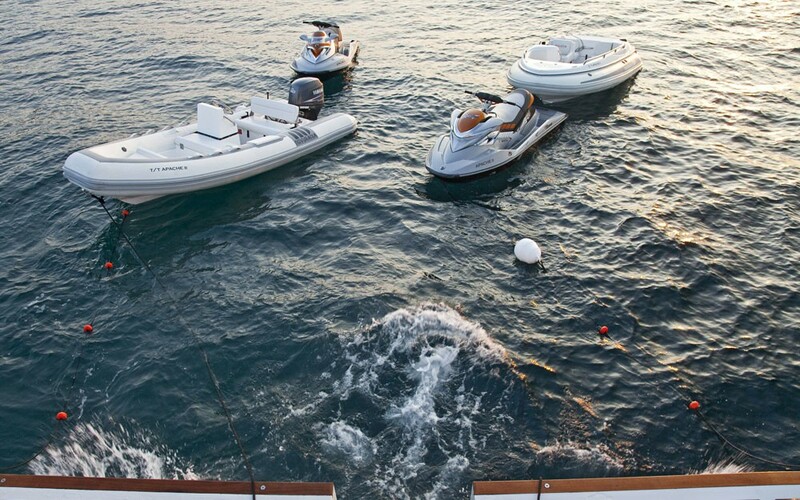 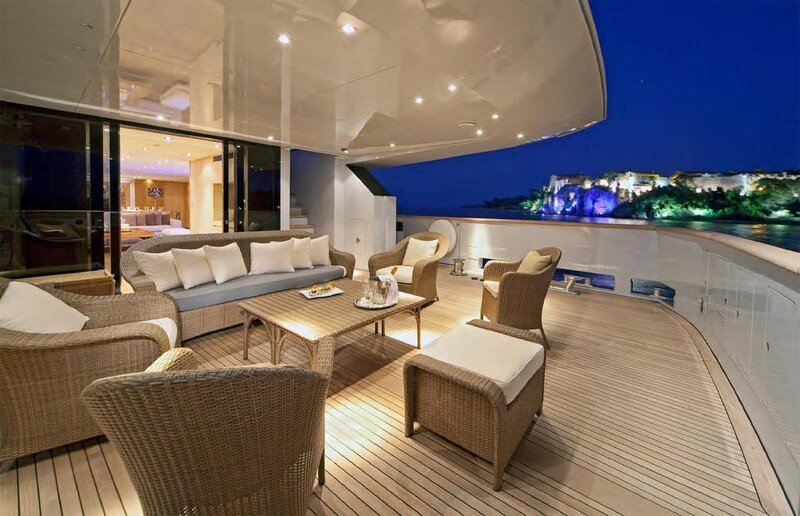 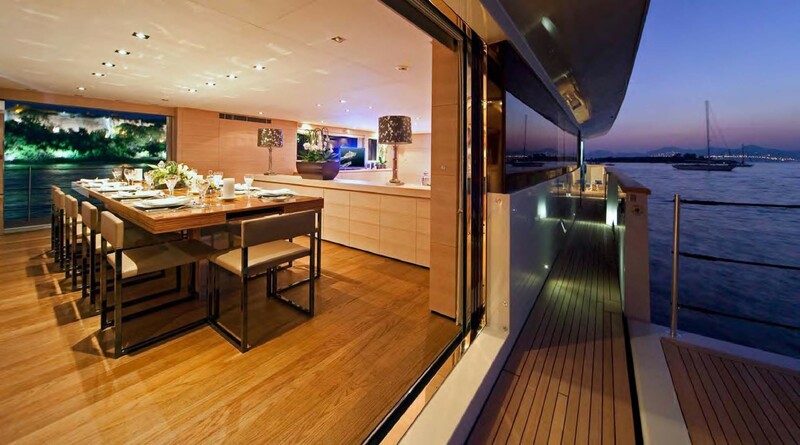 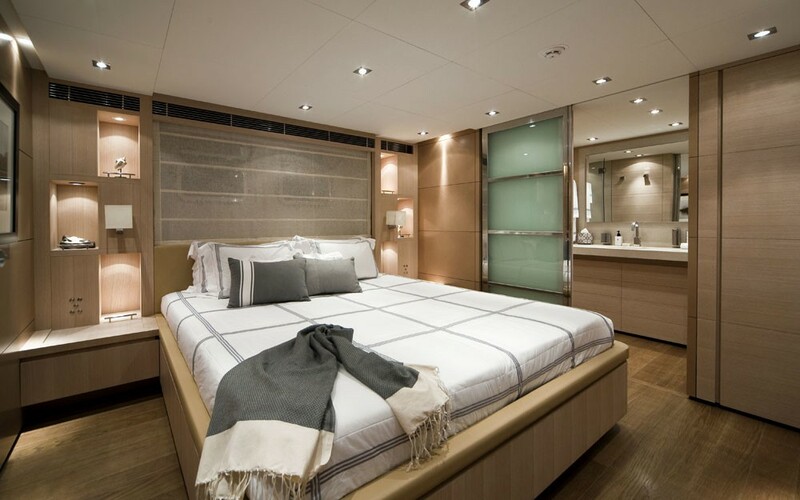 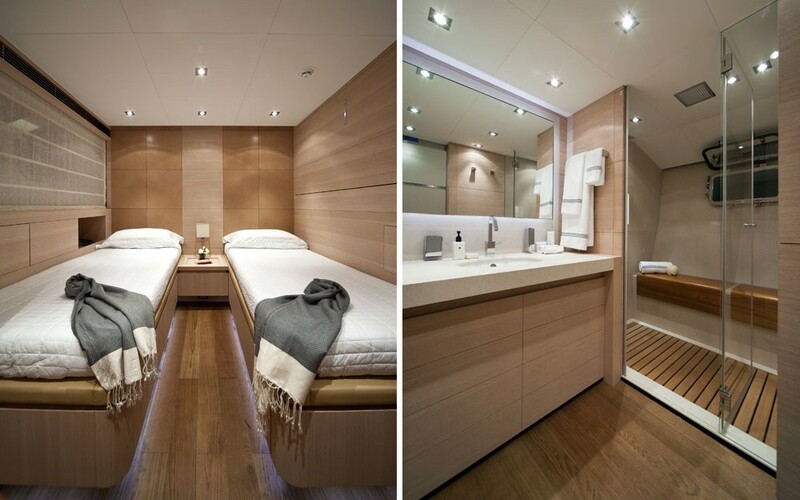 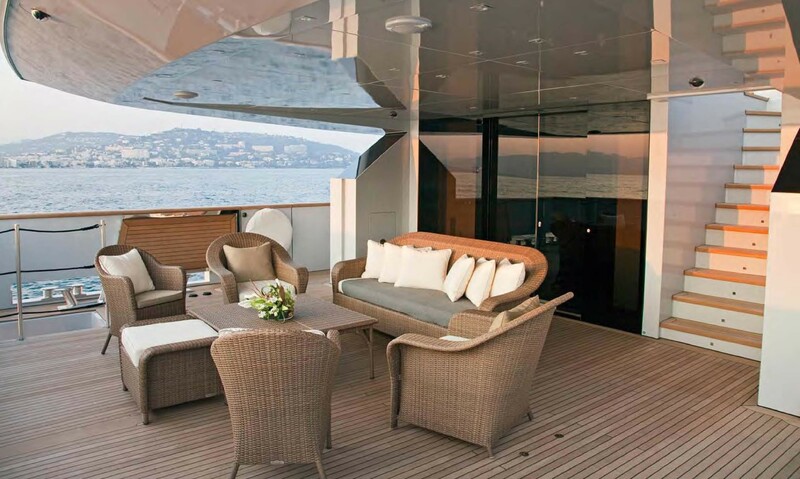 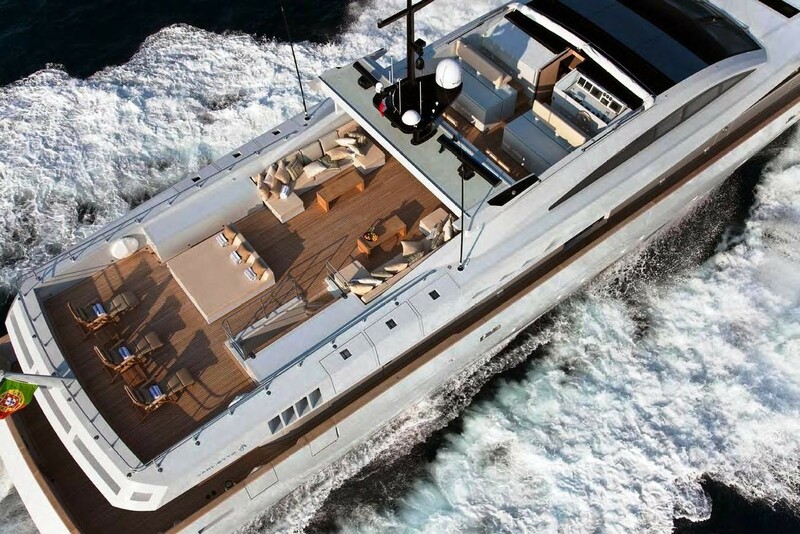 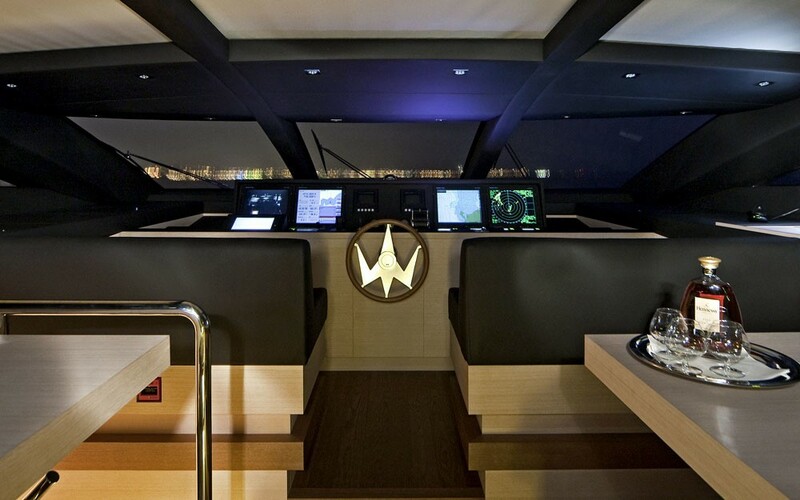 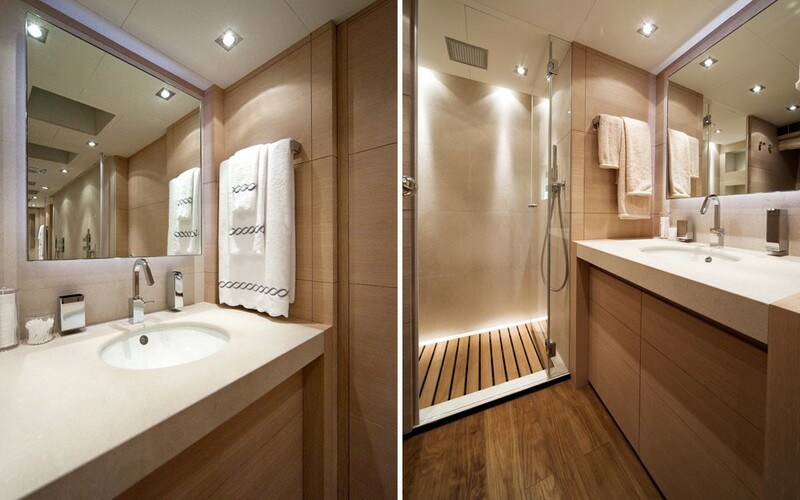 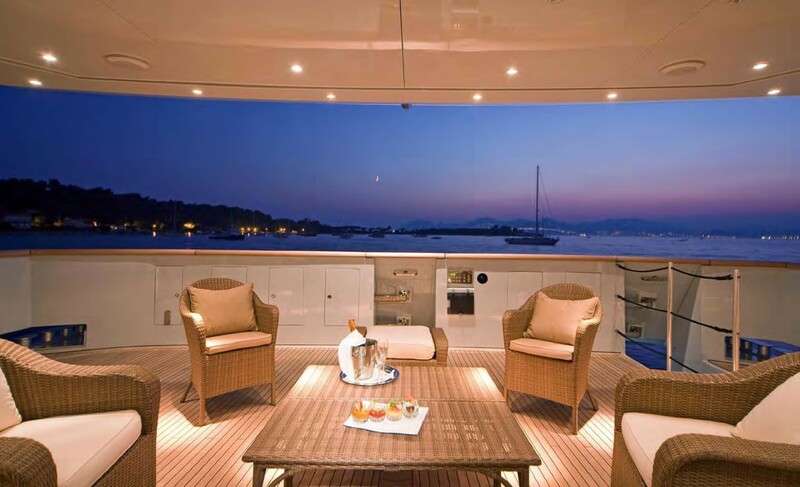 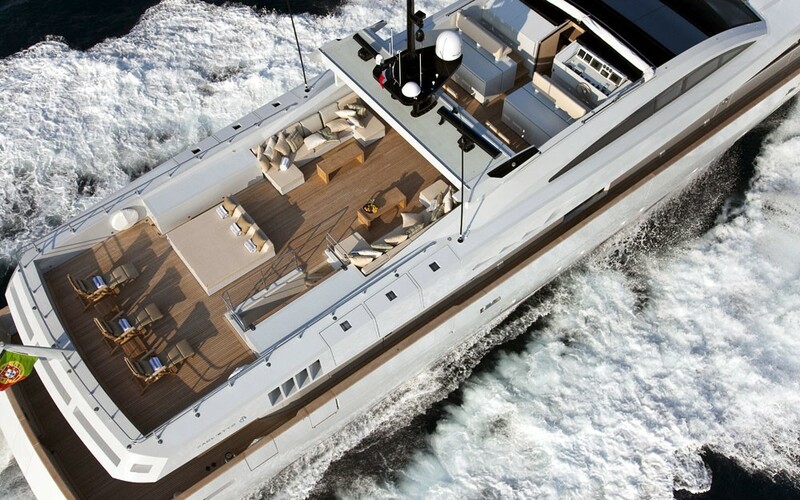 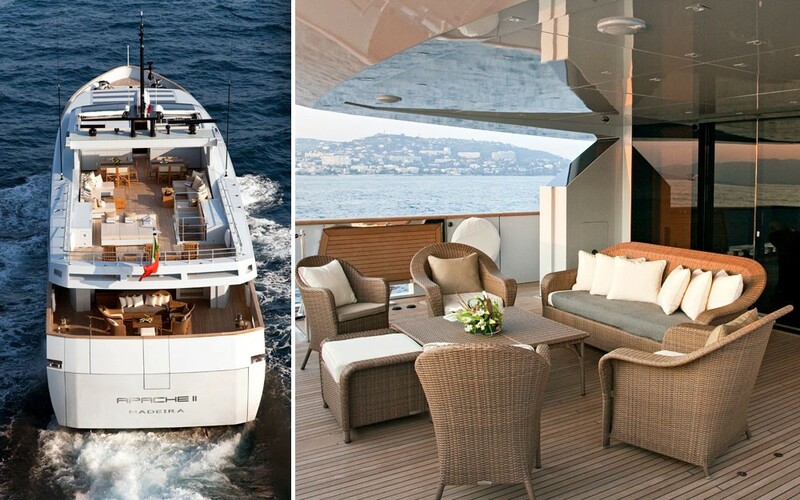 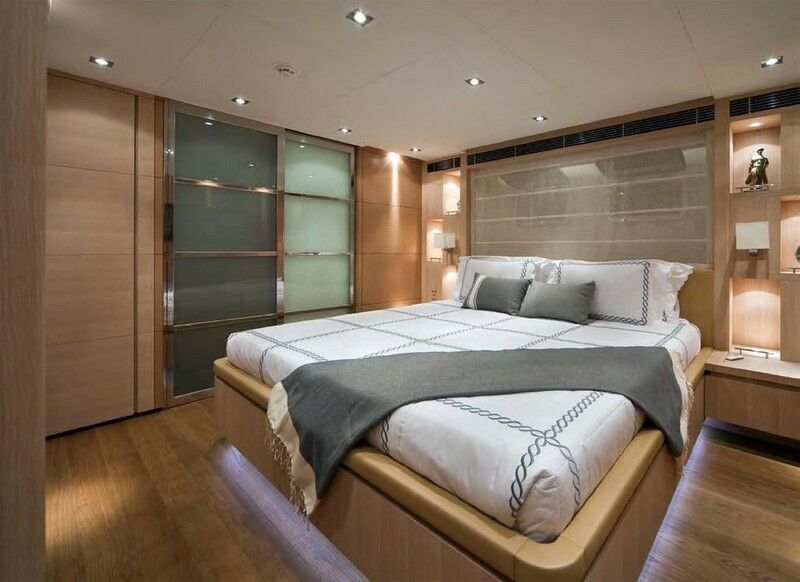 Motor yacht FAN TOO has a modern interior that provides a calm and spacious oasis. 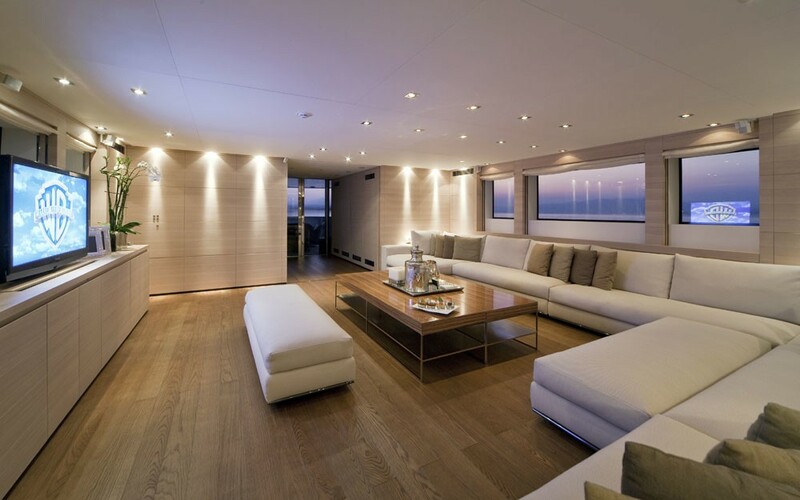 The stylish salon features a comfortable low lying L shaped couch and a low coffee table facing a large 42-inch pop up Plasma TV to port. 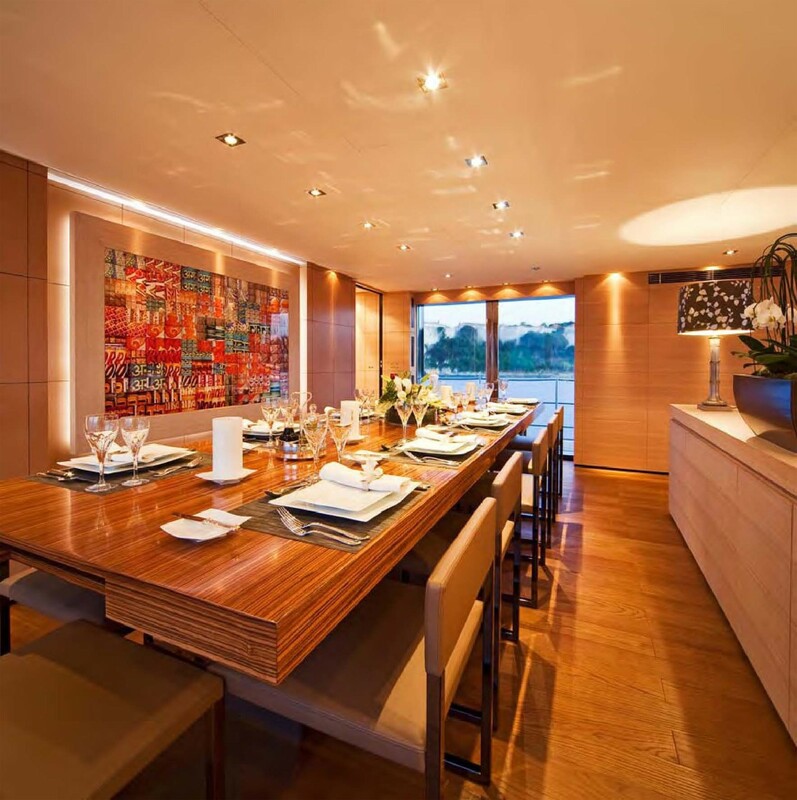 The elegant formal dining room boasts two unique extendable terraces on the port and starboard sides, adjacent to dining area doors which increase the width of the dining room as well as providing a connection to the outside environment. 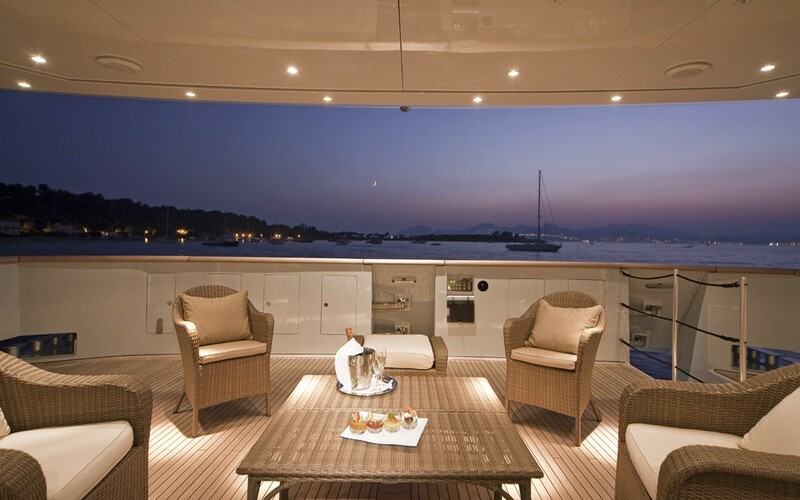 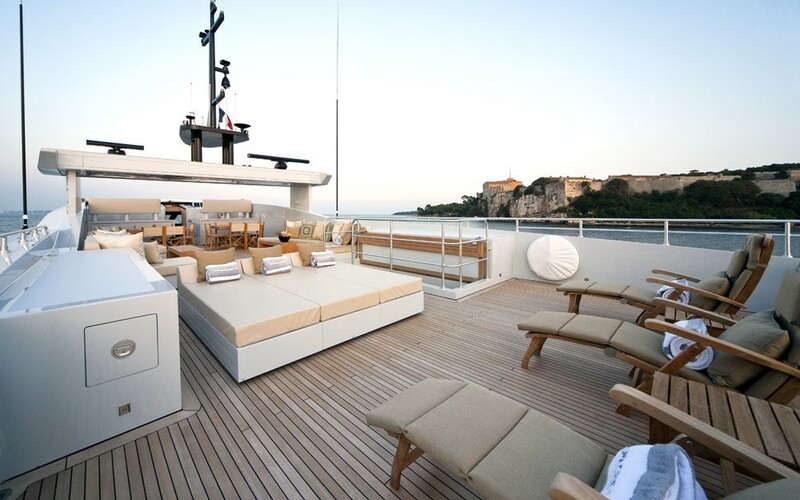 The aft deck features a seating area and easy access to the swimming platform via stairs to the port side. 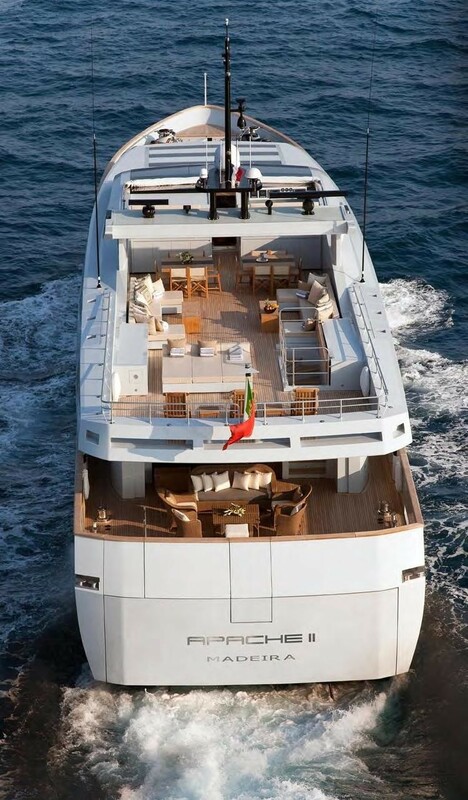 There are also port and starboard boarding ladders. 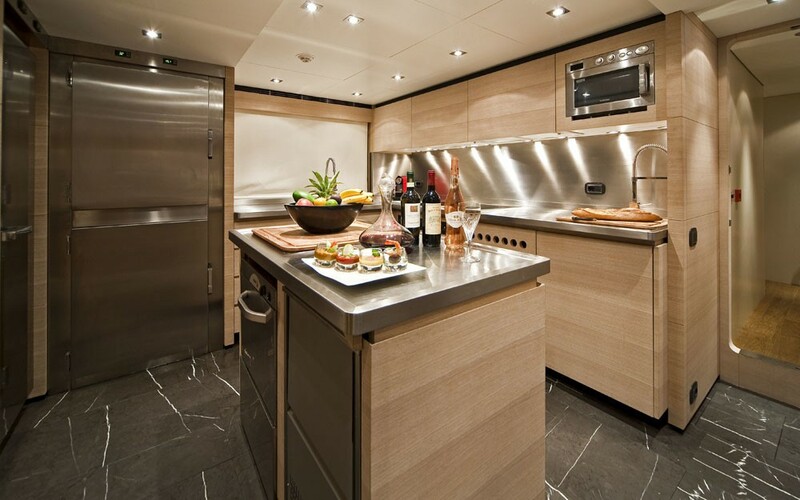 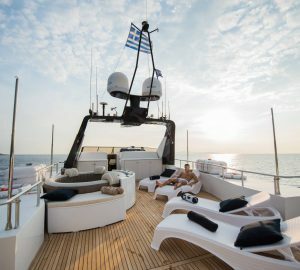 One of motor yacht FAN TOO’s special features is her huge top deck that boasts room for Al-fresco dining, sun pads, a wooden steamer, sun loungers, a wet bar, ice maker, fridge, teppanyaki, two bimini shade covers. 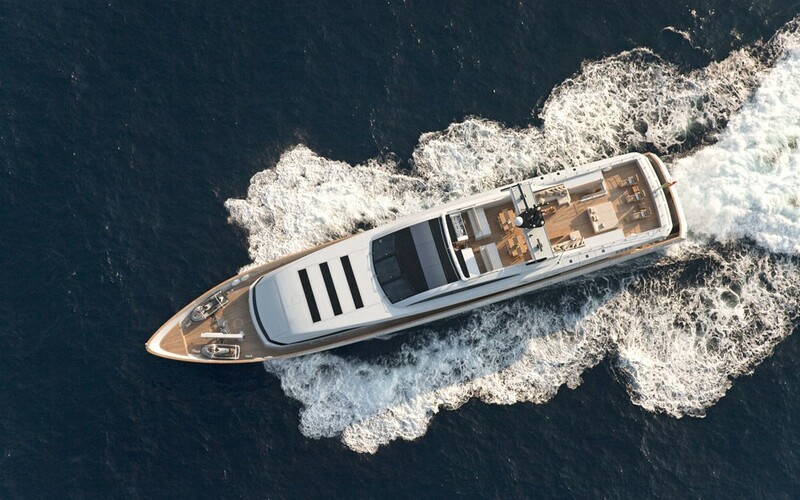 FAN TOO has a cruising speed of 25 knots and a top speed of 28 knots with engine propulsion of over 7,000 hp. 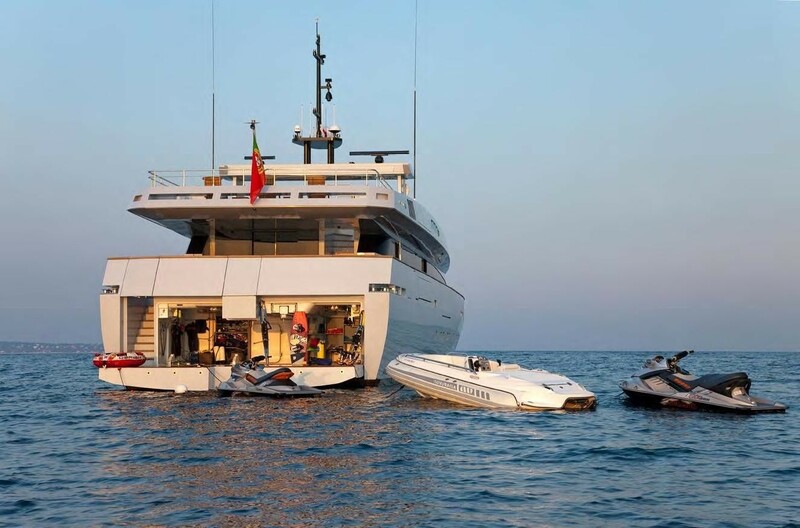 She features reverse cycle air conditioning, 2 x 80 kW generators, 2 x 6000 L/day water makers, Naiad system Stabiliser and (Zero speed) 4 Fins anchor stabilizers. 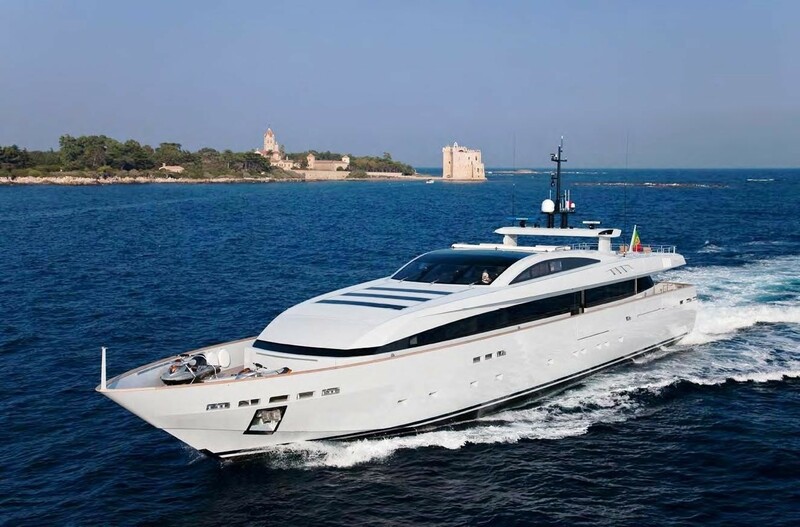 We do have available further amenity, owner and price information for the 44.00m (144' 4") yacht FAN TOO, so please enquire for more information.